Get ready to tee-off for St Hilda’s School Golf Day! For just $145 per person, you’ll enjoy a round with a shared cart…on course drink vouchers…barbecue buffet on conclusion…and lots of fun prizes! 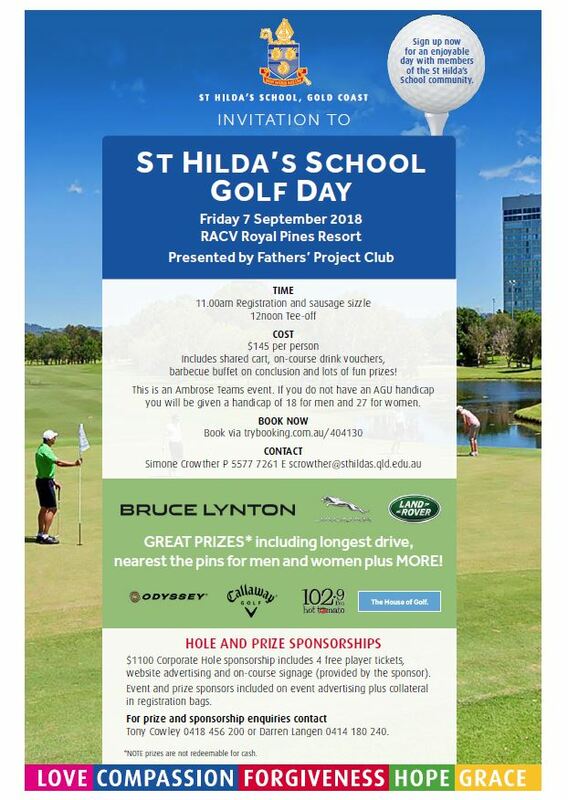 St Hilda’s School Golf Day – Friday September 7th at RACV Royal Pines Resort. Powered by Bruce Lynton Jaguar Land Rover.